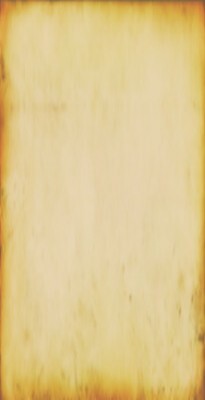 Dimensions: 76" x 88" x 58"
Description: The Oakwood Versailles Collection features dramatic carvings and thoughtful craftsmanship. The panel bed sets a standard of elegance unsurpassed by any other. The distinctive fleur de chene detailing on the head and footboard will make this bed a focal point in the room and is the perfect complement to the matching furniture. This collection is disappearing fast; make it yours before it's too late! 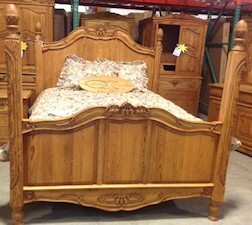 Description: The Oakwood Versailles Collection features dramatic carvings and thoughtful craftsmanship. The queen 4-post bed is the ultimate in luxury. This collection is disappearing fast; make it yours before it's too late! 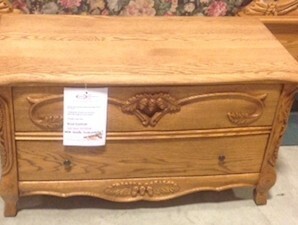 Description: The Oakwood Versailles Collection features dramatic carvings and thoughtful craftsmanship. 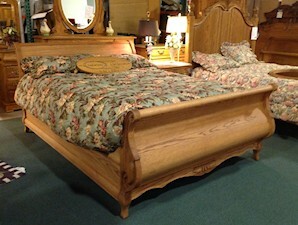 The sleigh bed is a handsome collectors' edition that combines old-fashioned charm, classic styling and fine craftsmanship. 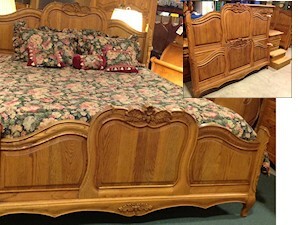 As with the sleigh beds of old, the curve is actual - not an illusion. This collection is disappearing fast; make it yours before it's too late! 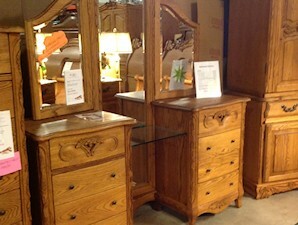 Description: The Oakwood Versailles Collection features dramatic carvings and thoughtful craftsmanship. The distinctive fleur de chene detailing on the head and footboard will make this bed a focal point in the room and is the perfect complement to the matching furniture. This collection is disappearing fast; make it yours before it's too late! 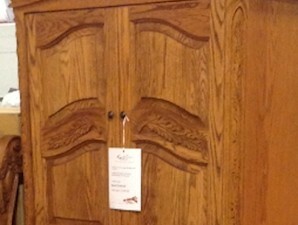 Description: The Oakwood Versailles Collection features dramatic carvings and thoughtful craftsmanship. This collection is disappearing fast; make it yours before it's too late! 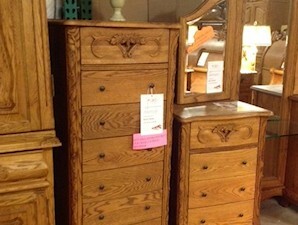 Description: The Oakwood Versailles Collection features dramatic carvings and thoughtful craftsmanship. 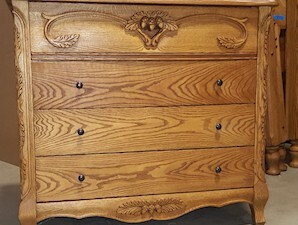 The standard dresser is a handsome collectors' edition that combines old-fashioned charm, classic styling and fine craftsmanship. 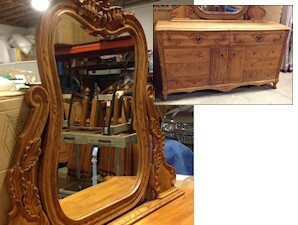 As with the sleigh beds of old, the curve is actual - not an illusion. This collection is disappearing fast; make it yours before it's too late! 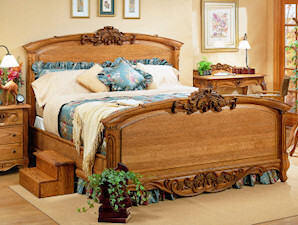 Dimensions: 25.5" x 57.25" x 19"
Dimensions: 41" x 24" x 79"
Description: The Oakwood Versailles Collection features dramatic carvings and thoughtful craftsmanship. 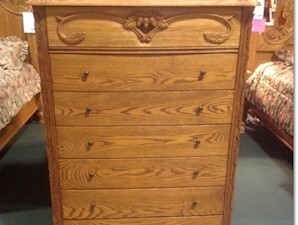 The armoire can function as additional clothing storage or as an entertainment armoire capable of housing a large television and electronic components. This collection is disappearing fast; make it yours before it's too late! Inventory availability subject to change.